Cinnamon … And now the nose is tickled with the sweet aroma of spicy buns and all sorts of baked goods. Nowadays, cinnamon has become an indispensable element in the creation of desserts and delicacies. The gingerbread Christmas cookie, from which it smells like a spicy aroma, warms the mulled wine in winter cold, fragrant buns are just a small part of the delicacies, in the preparation of which cinnamon plays an important role. 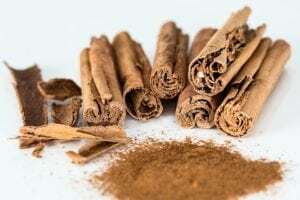 However, the history of this spice takes us back to distant times, when cinnamon was used as a medicine. One of the features of this spicy spice is the ability to enhance tone and mood! And all thanks to the essential oils that come with the composition. Cinnamon is rich in trace elements. 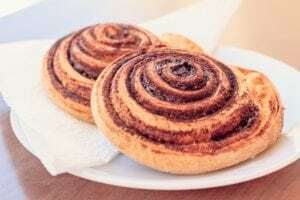 We offer your attention a recipe of cinnamon rolls, which, with their taste and aroma, will hardly leave your family and guests who have glanced at a cup of tea indifferent. Ruddy, fragrant, appetizing cinnamon rolls like you and your guests. Spread in warm milk 1 tbsp. a spoonful of sugar, yeast, 1 tbsp. a spoonful of flour and leave for 15-20 minutes. Add the flour, salt, then 3/4 of the softened butter and knead the dough. The dough should turn out soft and gentle. Leave the dough under the film in a warm place for 1-1.5 hours to make it come up. Once again, dough the dough and roll it into a rectangular shape. Leave 1 cm from one edge of the dough and evenly spread the entire surface of the dough with the remaining melted butter and sprinkle with a mixture of cinnamon and sugar. Fold the dough into a roll, fastening the remaining unshielded edge. Cut the roll into rolls of the same thickness. Lay the cinnamon rolls on the baking paper and the oiled baking tray about 5 cm apart so that when baking the buns do not stick together. Cover the rolls with a towel and leave for 20-30 minutes for lifting. Then grease each bun with a beaten egg. 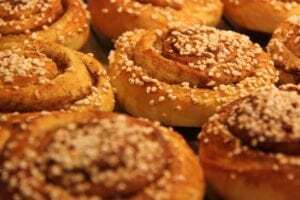 Bake buns with cinnamon in a preheated oven to 200-210 ° C for 20-25 minutes until golden brown.